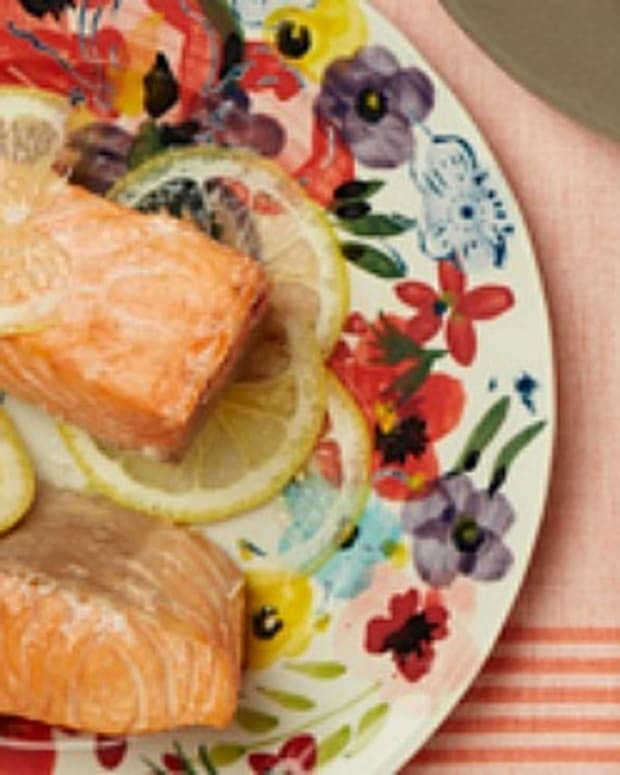 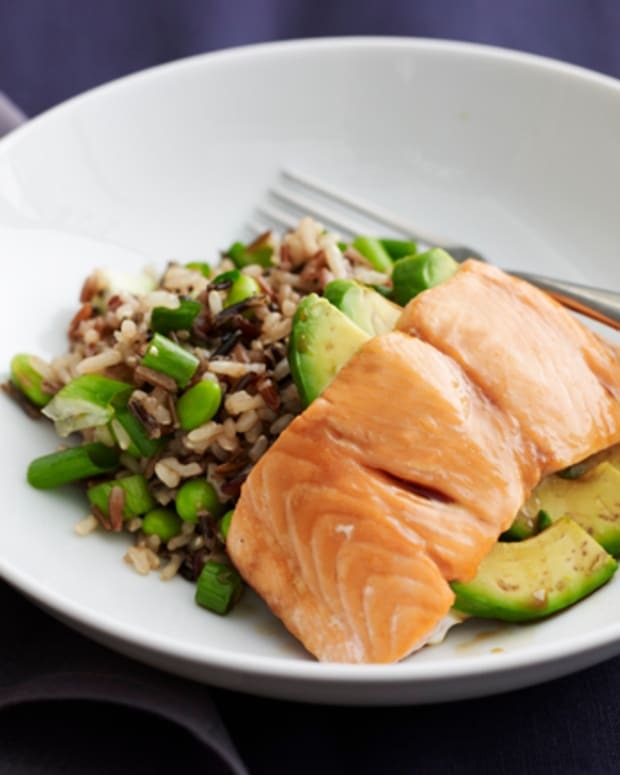 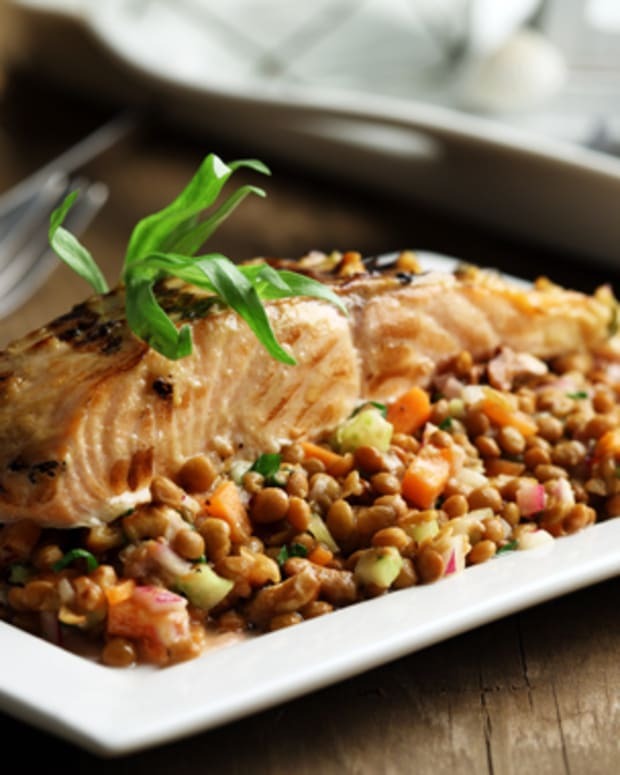 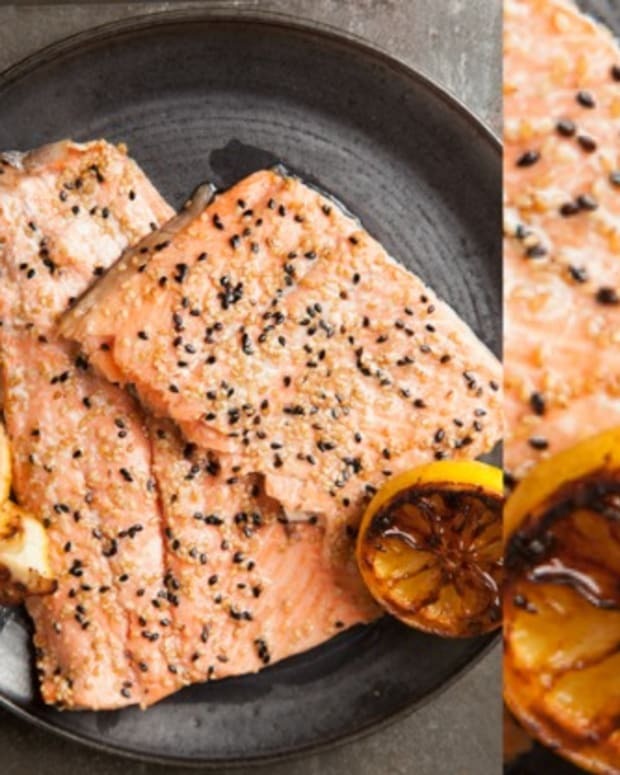 Salmon has a naturally strong flavor which holds up nicely against this savory marinade. 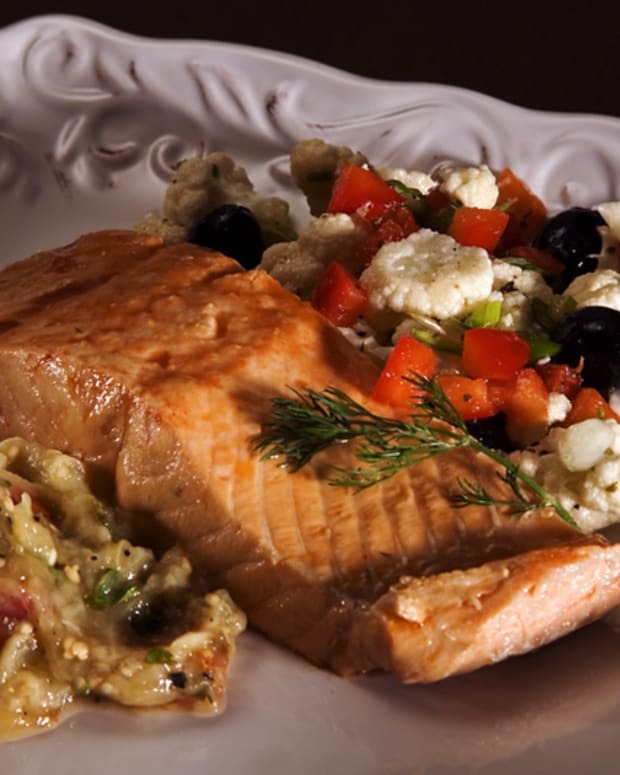 Allowing the fish to marinate long enough helps to meld the flavors together for a cohesive dish. 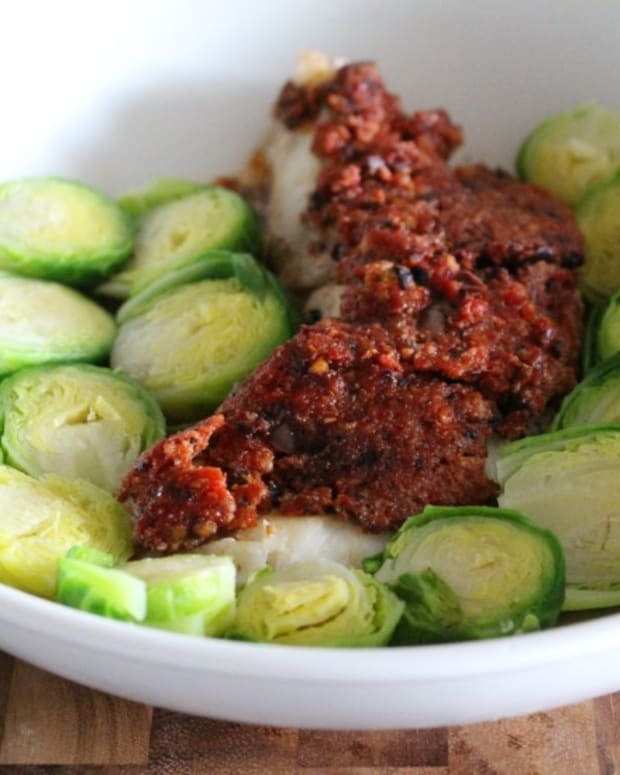 The addition of a crunchy vegetable base adds interesting texture and lots of flavor. 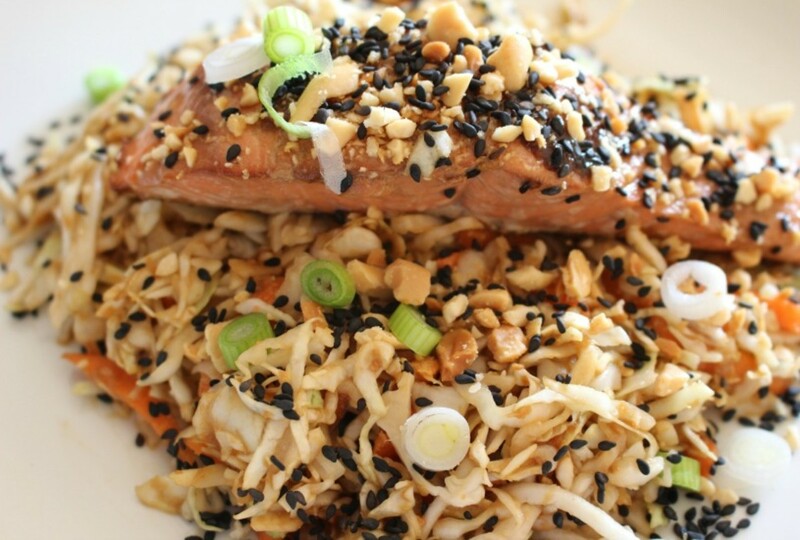 Plate with fish, garnish with peanuts, sesame seeds and scallions, serve with your favorite green vegetable or seasoned slaw.